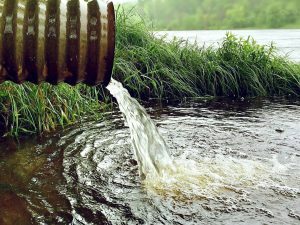 The U.S. Environmental Protection Agency (EPA) announced in April that it will work with states, municipalities, and subject-matter experts to set public health and safety standards for wastewater blending. The Water Environment Federation (WEF; Alexandria, Va.) will provide EPA with guidance and comments during the rule-making process. Wastewater blending is a procedure that water resource recovery facility (WRRF) managers can use when extreme wet-weather events force collection systems to accommodate larger flows than a WRRF is equipped to handle. Blending involves diverting some flow around secondary treatment units; this flow then is blended with fully treated final effluent before the combined stream is discharged. Since the 1980s, EPA has classified wastewater blending as an illegal “diversion,” subject to penalties unless conducted under extreme circumstances to protect life or prevent severe property damage. But according to EPA documents, the agency has been criticized for its vague description of those circumstances and its hesitance to distinguish wastewater blending – which can save equipment, preserve water services, and prevent wastewater overflows – from other diversions. In 2003, EPA proposed a measure that would have allowed wastewater blending under a wider set of circumstances, but the proposal was struck down by the U.S. House of Representatives in 2005. In 2011, in response to a request from Sen. Charles Grassley (R-Iowa) to clarify the agency’s stance on blending regulations, EPA supplied two informal letters outlining its positions in greater detail than stated in official regulation. The Iowa League of Cities alleged that these letters effectively instituted new regulations without a necessary public review period, which was confirmed by a U.S. Court of Appeals ruling in 2013. Adding to the confusion are several additional considerations for regulators to reconcile. For example, whether diverted flows should be required to undergo some form of auxiliary treatment, whether more conventional flow-management measures can accomplish the same goals as wastewater blending, and whether blended discharges meaningfully increase environmental or public health risks. According to an informational forum of public health and engineering experts convened by EPA in 2014, the main barrier to sensible blending regulations is a lack of broadly applicable data about whether blending can increase the concentration of harmful pathogens in receiving waters. Public health officials in attendance noted that while studies have not specifically explored the effects of wastewater blending, data show that bacterial indicators in disinfected point source discharges, including blended discharges, are significantly lower than indicators in the ambient water column. Little to no existing data suggest a noticeable public health effect associated with blending, participants concluded. At the forum, experts called for a site-specific, risk-based framework on blending. Because different WRRFs deal with different effluent sources, discharge frequencies, treatment infrastructure, climates, and other concerns that could affect the safety of blending, a one-size fits-all approach to regulation would be impractical, panelists noted. EPA will reach out to stakeholders in the coming months to “give municipalities much-needed clarity on blending at wastewater treatment plants,” said EPA Administrator Scott Pruitt in a statement.